BRAND NEW AND RED HOT!! 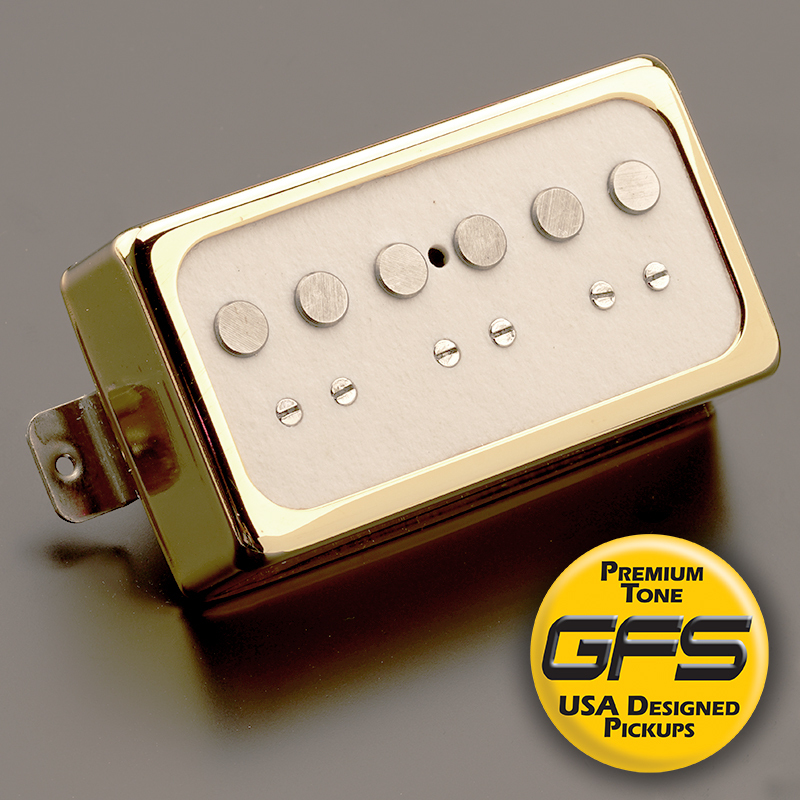 The Surf 90 is our version of the classic 1950's Rockabilly pickup. We were trying to get the big, fullbodied "Dearmond Dynasonic" sound with a richer low end and a crisp, tight, dynamic high end. 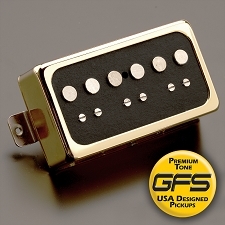 Oh yeah- it's gotta fit into ANY standard humbucker mounting slot. No such problem with the Surf 90s- they fit! The magnetically charged A2 rods have no stagger to them, and we find this to be ideal for most modern string sets. The small nickel plated steel adjusting screws can be raised or lowered to provide correct string balance. We've spaced the bridge at 52mm and the neck at 50mm- With the extra large 6.5mm Slugs- this means the Surf 90s can easilly accomodate string spacing as narrow as 47mm and as wide as 56mm. That's everything from a Harmony Meteor to a Floyd Equipped Strat. We've wound them full and firm, but decidedly vintage. 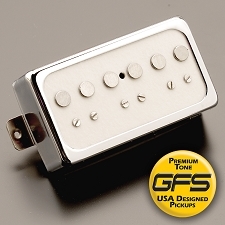 Bridge pickups are 7.8K, neck pickups are 7.2K. The result is a warm and VERY rich single coil sound- not unlike the bigness of a P90 soapbar, but without the amp searing midrange. The Surf 90s have a relaxed, harmonically rich midrange with a crisp, but never harsh, high end. These are spectacular for 50's rockabilly, amazing at surfy 60s stuff, dynamic and snappy enough to do a convincing Hendrix vibe, big bodied and rich enough to drive a Marshall head for a very articulate classic rock sound. 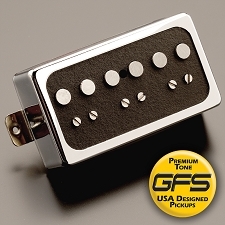 I think you'll find the quality on the Surf 90 is equal to that of ANY handwound pickup out there. We use non-magnetic German Silver baseplates, chromed German Silver shells, USA made plain enamel coil wire, USA made push-back braided leads, genuine fiber bobbin formers and the whole shebang is carefully potted in genuine beeswax. The neck Surf 90s are Reverse Wound/Reverse Polarity, so when both pickups are on at the same time you have a true humbucking setup.